Pigs Feet Crock Pot Recipe – Due to recent technical issues, we had to re-write our original post titled Pigs Feet In White Wine. Only the recipe formatting has changed. This hiccup also made us aware that none of the recipes could be printed! 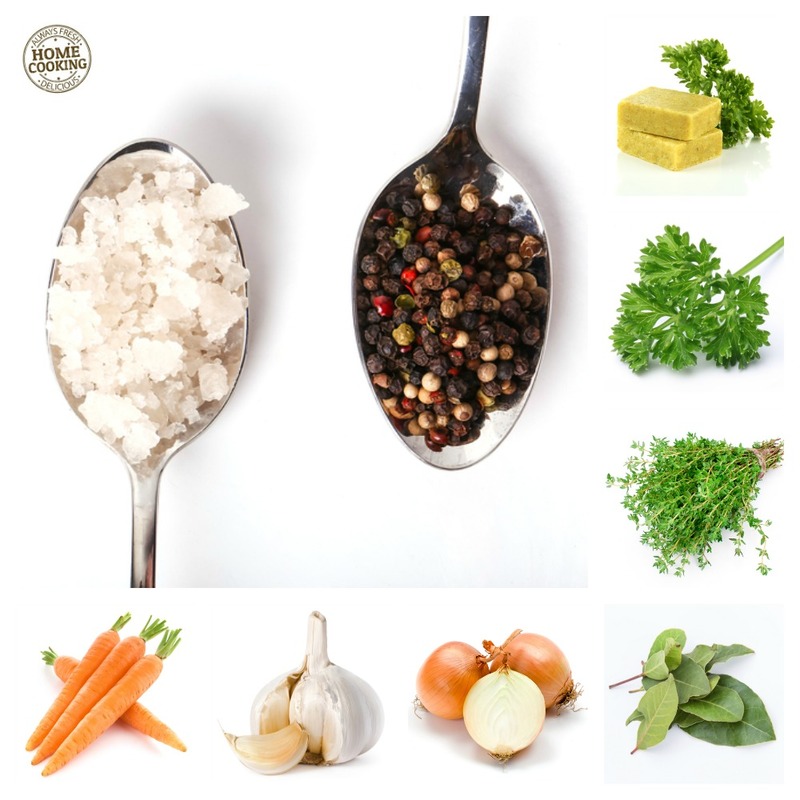 Now you can jump to the recipe, print it right away or pin it to one of your boards! While we are on the topic of pig trotters, here is another home-style recipe from our French Country Cuisine collection you may be interested in preparing some day. Pig’s Feet In The Crock Pot? Mais Oui! Here’s how to cook fresh pigs feet in a slow cooker. In the process of preparing the recipe and taking new photos, we realized that we never mentioned the carrots! Quel désastre! The ingredients are the same as the original recipe but this time we made sure to add the carrots – a minor faux pas that does not make a bit of difference whether you prepare it in a crock pot or a stove top Dutch oven. My Grandmère did not have a mijoteuse (aka crock pot or slow cooker) when she prepared pig’s feet for dinner. All she had was a well worn heavy duty cast iron Fait Tout (this one looks like an incredible piece of cookware to add to any kitchen). Leave that pan on the old wood stove long enough and it becomes the ultimate slow cooker. 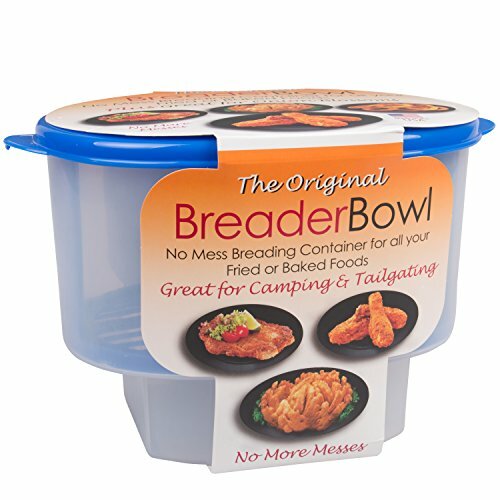 Not Everyone’s Idea Of A Favorite Dish? I’ve seen pig’s feet in supermarkets as a snack food and if a recipe for pig’s feet can even grace the cooking pages of the New York Times, then they can’t be all that bad – right? In any case, these 2 pounds of pigs’ feet spent several hours slow cooking in a court bouillon. It is one of the simplest recipes to prepare. 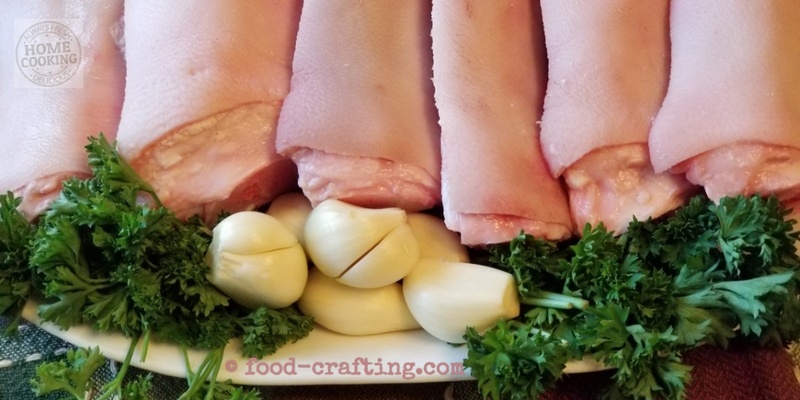 Once cooked to such an extent that the meat is fall-off-the-bone tender, the de-boned pig’s feet can be served cold in their wine and herb flavored gelatin. Pigs feet in white wine were a surprise treat for my Maman. In France, Mother’s Day is celebrated on May 31rst. Simmered in a rich broth for hours on end, pig’s feet are not exactly the type of recipe one would prepare during the merry month of May or even someone’s idea of the perfect Mother’s Day gift. Yet it was enough to make a Maman cry. Comfort foods and Dutch ovens are more suited for Fall and Winter. A Dutch oven full of her favorite dish from childhood days was just what this doctor ordered as a special treat. In France, Mother’s Day is celebrated on May 31rst. This recipe is more of a winter dish. But, as a surprise and special treat for my Maman, I prepared a Dutch Oven full of her favorite dish – pig’s feet in white wine. Wash the pig’s feet in cold running water. Layer them evenly across the bottom of the slow cooker. Add a layer of roughly chopped onion and half the garlic cloves. Repeat with a second layer if necessary. Add salt and pepper to taste. Add parsley, bay leaves and thyme. Sprinkle crumbled bouillon cubes over everything and add both water and white wine. If the pork is not falling apart, allow to cook for another hour or simply let the slow cooker complete the “stay warm” cycle. Remove the pig’s feet from the broth using a skimmer. Transfer to a large platter and allow to cool. Refrigerate until ready to proceed with a recipe of your choice. Our favorite method is to coat the cooked pig’s feet in Dijon mustard then roll them in seasoned breadcrumbs. You can pan fry them until golden brown but the best method is to grill the breaded pieces (at 425F. to 475F. or #7 to #9 on a gas range) in a very hot oven until bubbly, crisp and browned. Instead of the mustard coating, you can also dip the pig’s feet in a couple of beaten eggs, then roll them in bread crumbs before browning them. Serve with more Dijon mustard and a simple green salad. Ready to prepare the pigs’ feet #recipe in a #crockpot? I never hesitate to prepare regular stovetop Dutch oven recipes in a slow cooker. All it takes are some minor adjustments to the total cooking time. Rarely, if ever, do I turn on the slow cooker and walk away for the rest of the day. It’s very easy to burn country style ribs using that walk-away method. I use my slow cooker as more a convenience appliance when I have to multi-task at home. That said, a slow cooker or crockpot is the easiest way to set a pot to “simmer” with the full knowledge that it will, in fact, simmer for a specific amount of time. A steady temperature – the LOW setting is equivalent to barely simmering on the stove top. Still Prefer A Stove Top Dutch Oven? Get a heat diffuser plate! Have you ever walked away from a simmering pot on the stove only to hear the lid jump up and down? A stove set to the lowest possible setting on the dial is still too hot to achieve that “barely simmer” temperature. Even at the lowest temperature, supervise the simmering process. Once the pan becomes too hot, your dinner scorches and dries up. If you want to use a stove top cast iron Dutch oven, use this heat diffuser ring plate to prevent these hot spots and bubbling up. The diffuser distributes the heat across the bottom of the pan. A great feature about this stainless steel heat diffuser is that it comes in two sizes. One fits small burners and one fits larger burners and larger pans. Here is another fabulous feature of this sturdy ring plate! I recently bought an induction burner. The VonShef heat diffuser converts any regular cookware into an induction-ready pan. Imagine the savings! The video below illustrates one way the French serve fork-tender pig’s feet. Bon Appétit! 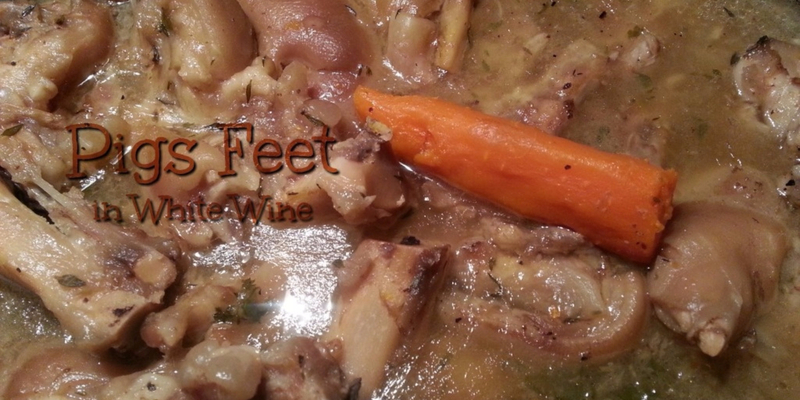 This recipe for pigs feet in white wine is a souvenir d’autrefois! 1 Pig’s Feet In The Crock Pot? Mais Oui! 1.1 Not Everyone’s Idea Of A Favorite Dish? 2 Does It Taste Authentic? 2.1 Bonne Fête Des Mères! 6 Still Prefer A Stove Top Dutch Oven?